Need some help to log in? 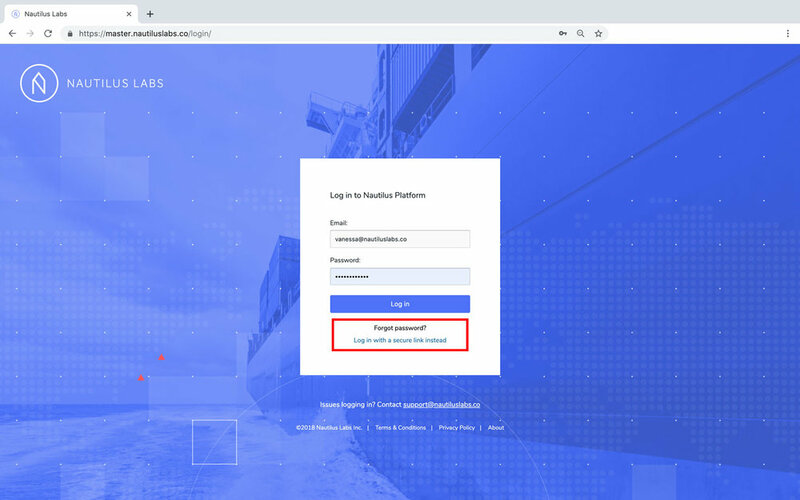 We’re excited to welcome you as a user of Nautilus Platform. Our team has already sent you an email that contained a link to our platform. This link allowed you to create your own password to our platform. If you’d like to change your password, you can click on your account on the upper right hand side. You can either logout or update your password. Please type in your new password and save these changes. In case you’ve forgotten your password, simply click on “Log in with a secure link instead”. Type in your email and click “Send a secure link”. 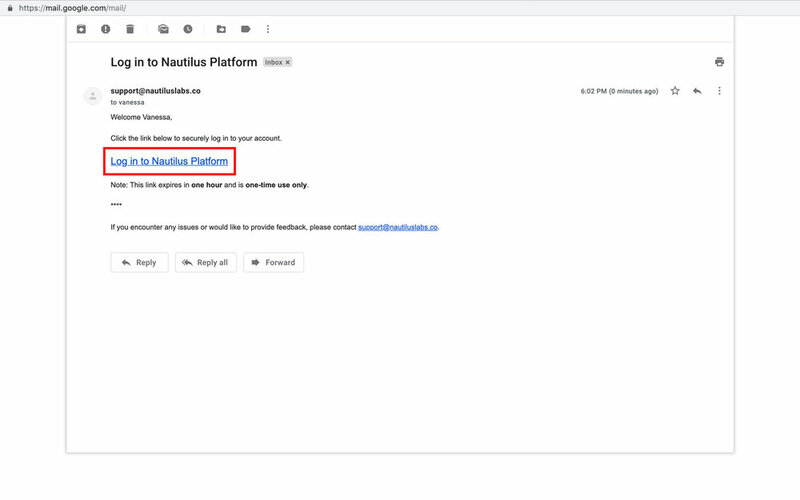 You will automatically receive an email that contains a link that brings you directly to Nautilus Platform. Now it’s time to change your password to ensure your next login will be successful right from the start. And as you know… We’re always happy to help - just reach out to us!